So I am not going to meal plan today because I am going to doing some preparation for our clean eating challenge, on June 16th, this week. I am going to make a bunch of the meals so that I can better guide you all through the process. If you want to know why I am doing the challenge click here for the last post where I talked about it. I have done this challenge before and lost 6 pounds in the 5 days! I felt great, stomach bloating was gone, and best of all, I didn't crave sweets at the end...and only 5 days! It is a start! I kept it going for weeks after, but once I let myself come off, I had a hard time getting back to it. With a little accountability, we will stick to it together! So here is how it is going to work. Next week, we will have some guest posts from women who have struggled through a weight loss journey. The first was a Beachbody coach who originally gave me this challenge, she will talk about her struggles to stay on track with clean eating and exercise. The second is currently a Beachbody coach who is going to talk about her personal journey as well as her new role of coaching others. Then I will send out the grocery list with tips that I find this week or things that I remember from last time. Finally, I will send out the meal plans. The night before each of the days I will post about tips for the next day. We will touch base with each other every day to see how it is going. You can comment right on the blog! So who is in?? 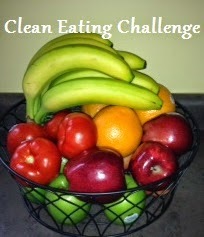 Who wants a jump start to clean eating? Who wants to lose a few pounds? Who needs the accountability? I know I do! Let's do it! Comment below if you are interested in joining me!